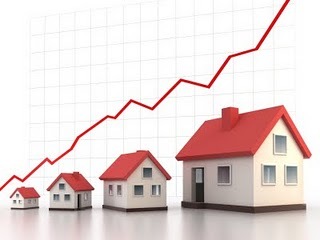 New numbers from the Teranet National Bank House Price Index show house prices jumped in May from the previous month, cooling talk from analysts and industry economists who have long warned of overvaluation of Canadian home prices. The news comes as the drop for Calgary house prices dipped to its lowest since April of last year, while all 10 of the other metropolitan markets saw significant increases, a sign that Alberta is naturally still dealing with concerns about oil prices and impending decisions from the NDP government that are sure to affect the housing market. Prices were up 2.3 per cent in Halifax, 1.6 per cent in Toronto and Montreal, 1.5 per cent in Ottawa-Gatineau, 1.3 per cent in Vancouver and 0.9 per cent in Quebec City. Hamilton saw a 0.6 per cent rise as did Edmonton, with a 0.5 per cent rise in Victoria and a 0.2 per cent rise in Winnipeg. For the first time in nine months, Ottawa finally recorded a modest price increase, while cities east of Toronto witnessed a sharp rise in prices last month. “This suggests that these markets are stimulated by historically low mortgage rates," the report reads. "The composite index was at an all-time high in May, as were the indexes of four of the 11 markets surveyed – Toronto, Vancouver, Hamilton and Quebec City."